You made it to the Sweet 16. Great. Here's what to do now. Whether you kept on survivin’ blowout style, or like Duke through the grace of gravity and prayer, you’re still here. Congratulations. 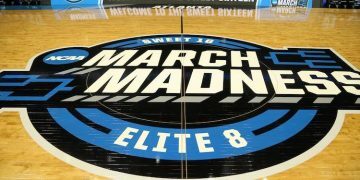 The first week of the NCAA tourney is in the books, your survivor pool has thinned out as the Sweet 16 and Elite 8 rounds approach, and now you’ve got a lot more work to do to get that cash. Last week, we posted a big-picture view of survivor pool strategy. Bottom line: if you’re just trying to “survive and advance,” you’re destined to lose. To actually win a survivor pool (because isn’t that the whole damn point), you need to take calculated risks and be selectively contrarian. This week, we can actually dive into specific scenarios/recommendations based upon the Sweet 16 setup. So let’s get to work. In most survivor pools at this stage, you’ll have to select one winner Thursday, one winner Friday, and typically a pool will require you to pick two winners across the four Elite 8 games on Saturday/Sunday. But that’s a key wrinkle and your pool may operate differently, so make sure to check your pool rules. You win, but gain no advantage against your opponents, many of who picked that same team. You’re no closer to actually winning the pool. OK, so how do we navigate this field of 1, 2, and 3 seeds with special guests Auburn (5) and Oregon (12)? You need to identify the teams your opponents are likely to select, and evaluate the win percentages of each remaining team. Your opponents are unlikely to choose Gonzaga because as a #1 seed, they have a lot of future value later in the tournament. 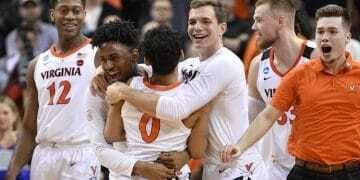 Same with Virginia – after overcoming a wobbly start against Gardner-Webb, they have looked solid and appear to have shaken off the ghost of UMBC. I’m sure someone in your pool will take Oregon this week, but they only have a 13% chance to win according the 538 metrics. We don’t recommend rolling the dice on the Ducks. They feel like a trendy team that is about to get pummeled. So who are you opponents likely to pick? We project: Michigan and Tennessee. Michigan is a household name and a “public” team that played in the National Championship game last year. This will comfort people who want to be safe and simply survive, especially since the Wolverines are playing a lesser known, and lower seeded, Texas Tech Red Raiders squad. But Michigan is just a 2-point favorite against Tech at both PointsBet and FanDuel Sportsbook. The Red Raiders are the only team in the country with a higher defensive efficiency rating (per KenPom). Tech is 1, Michigan 2. In the South region, Tennessee is not a traditional powerhouse on the men’s side, but they are a 2 seed, and sometimes it’s that simple – people will pick the 2 over the 3. Plus, Purdue is a relatively anonymous Big 10 team that people have been overlooking all tourney. In the ESPN “People’s Bracket,” 77% percent of entrants have Tennessee beating Purdue. What do the oddsmakers say here? Tennessee is just a 1-point favorite, or -120 on the moneyline. Now who do YOU pick? We recommend Texas Tech or Purdue. Critically, both games are about a coin flip, with Purdue having a 49% chance to win and Texas Tech having a 51% chance to win (again, per 538). So neither is even a particularly risky contrarian play. But you’ll be creating a strategic advantage over your opponents – if you win a coin flip, you’ll have far fewer opponents left than if you had followed the herd. You could also roll the dice on Florida State, but we think this is too much of a risk given their lower win chance (26%) and the fact that you have less to gain, since we expect not many people will be on Gonzaga at this stage. If we’re fortunate enough to survive… let’s not tempt the gambling gods. This slate presents a similar scenario – your opponents won’t likely be on the two public #1 seeds Duke and UNC (and neither should you, given their future value). They are much more likely to be backing two other teams: the Michigan State Izzos and the Kentucky Caliparis. Both of these teams are perennial powers with well-known coaches and programs and will garner public support. Again, the majority of your opponents will pick the teams they know and feel most comfortable with. Their plan: pick the 2 seeds now, and pick the 1 seed to beat them over the weekend. So who is your choice? Houston or possibly Auburn. Houston has a 44% chance to beat Kentucky – nearly a coin flip. They are an undervalued team and you’ll gain an advantage over your opponents if they win. Auburn is a riskier pick given their 38% win chance, and fewer of your opponents will be on UNC. But Auburn has a very real chance of winning, and will preserve valuable flexibility moving into the Elite Eight. Why not LSU? Because LSU is more of a “free-roll.” We’re guessing a large portion of your pool will take MSU. You’ll be rooting for LSU to knock them off to your benefit, but you don’t have to incur the additional risk when there are some more favorable choices on the board. Now, if you’ve already taken Houston and Auburn in your pool, you’ll probably have to go ahead and take one of the more public teams. LSU seems just a bit too risky for us at this point. We think Michigan State is the better option over Kentucky. They have a better win chance in the Sweet 16, and assuming both MSU and UK make it to the Elite 8, Kentucky is more likely to advance to the Final Four, and thus retains some future value for you. This means having teams left to pick in the Final Four that give you a path to victory. To do so, you’ll have to lay off two teams in the Elite Eight and “save” them for the Final Four. So you must start plotting your picks from the Elite Eight to the title game, giving yourself the most flexibility possible. 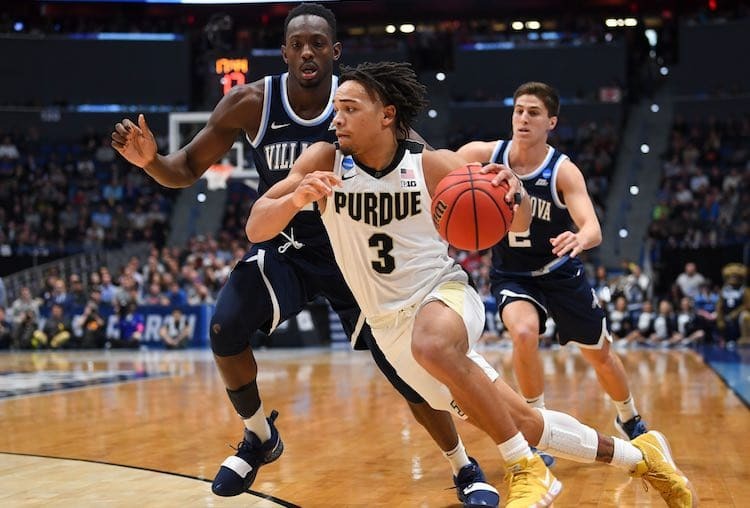 If you successfully navigate to the Elite Eight, you don’t have to be as contrarian, as your options will dwindle and you simply have to be correct to hit the cash. So who are your two Elite Eight winners going to be? If you’re picking Houston to beat Kentucky on Friday, your logical choice over the weekend is either UNC or Auburn to beat Houston to go to the Final Four. If you’re picking Auburn on Friday, you may be on Houston or Kentucky over UNC in the Elite Eight. What might your second pick be? Perhaps Gonzaga over Texas Tech/Michigan or MSU over Duke. Whatever you decide there, you should keep one concept in mind: The two teams you “save” for the Final Four must be on opposite sides of the bracket. This is critical – it does you no good to save Duke and Gonzaga, because they would play in the Final Four, and you would have no pick left in the Championship game. 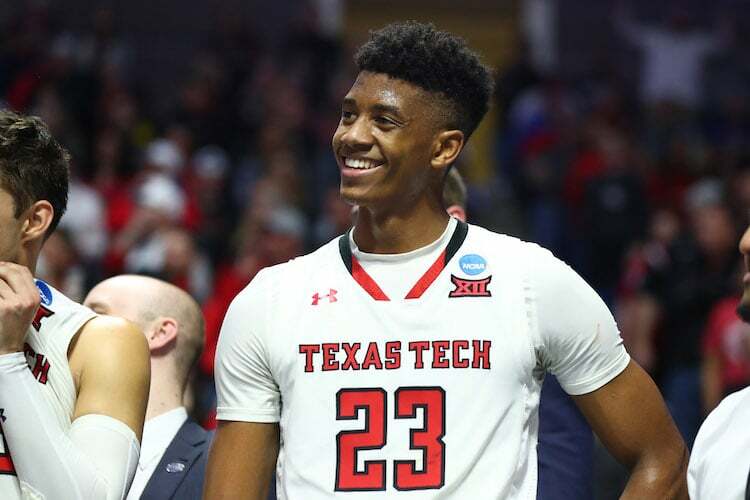 You want opposite-side-of-the-bracket combos, for example, such as Duke-Virginia, or Texas Tech-UNC, to ensure that you have one team you can select in the Championship. We suggest literally penciling out a pathway(s). To those of you still questioning why you shouldn’t be “safer” on Thursday or Friday and pick teams like Kentucky, MSU, or UNC, we’ll keep beating this dead horse: the point of a survivor pool is to win. It does you no good to survive into the Elite Eight or Final Four but have no viable path to victory. Selecting these public teams will very likely leave you eliminated (because they lost) or in a crowded herd with too many opponents (if they win). No participation trophies! Just win this thing.